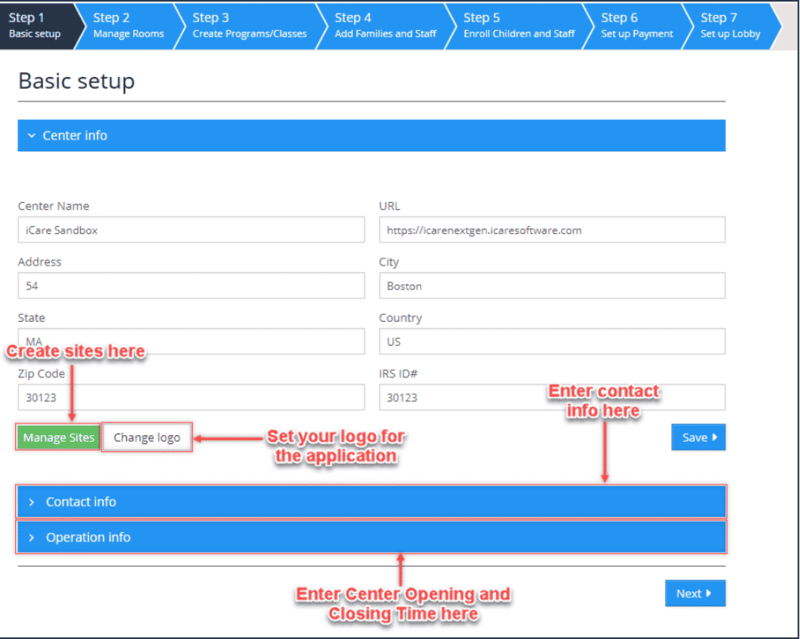 Here, you add and edit your basic information like Center Info, Contact Info and Operation Info. Click Save every time you make any changes. And, use Change Logo button to set your own logo to use the iCare application. Need Help? Check out our video library. Rooms are Age-Based groups of children to manage child-teacher ratio at a center. 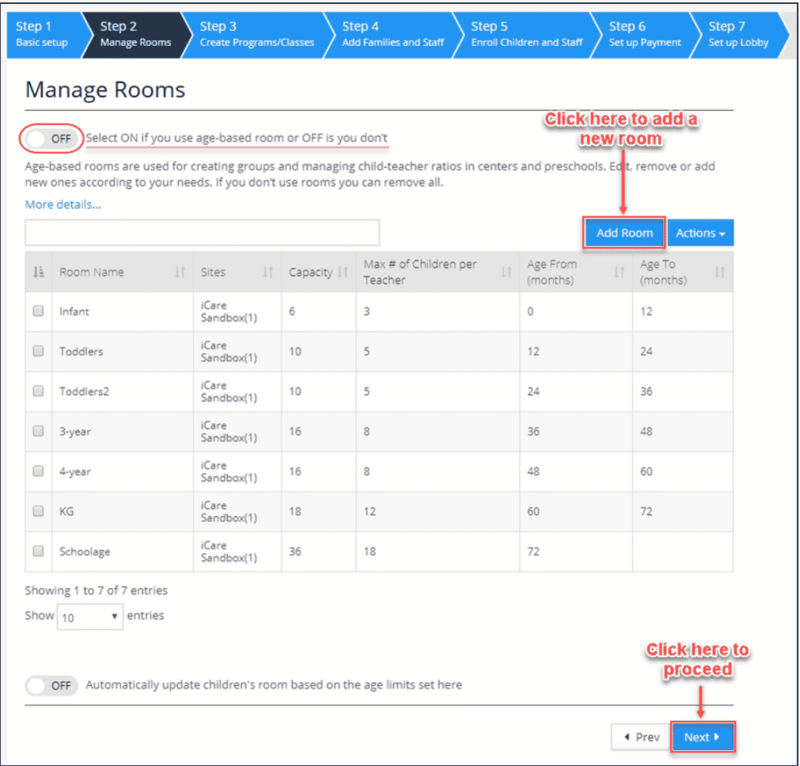 In this Step, you may either select default Rooms from our database or create new Rooms. 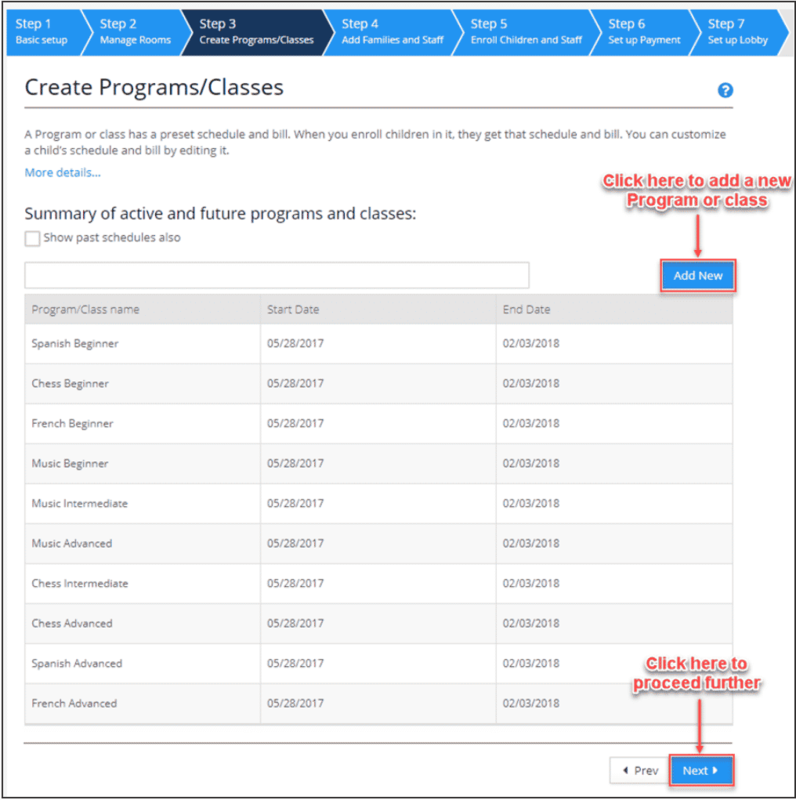 Create new Programs and Classes to schedule children and staff. To add a new Program or Class, click the ‘Add New’ button. 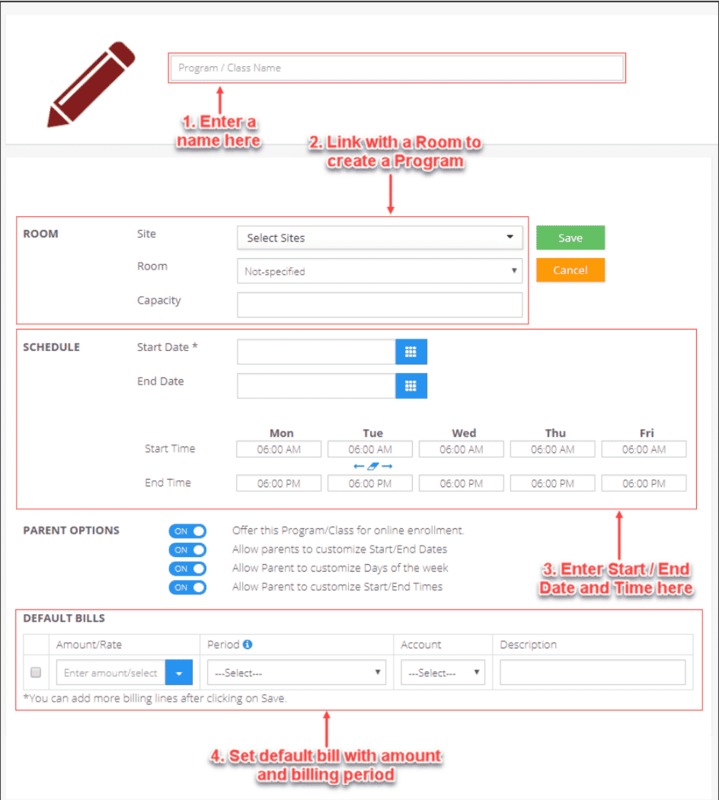 Enter the details and click Save to add the Program/Class. Here, you may send multiple invites to, family members of children and to staff, or you may import or add data manually. You may now, enroll children and staff in Programs/Classes. Click a Program/Class name from the list. 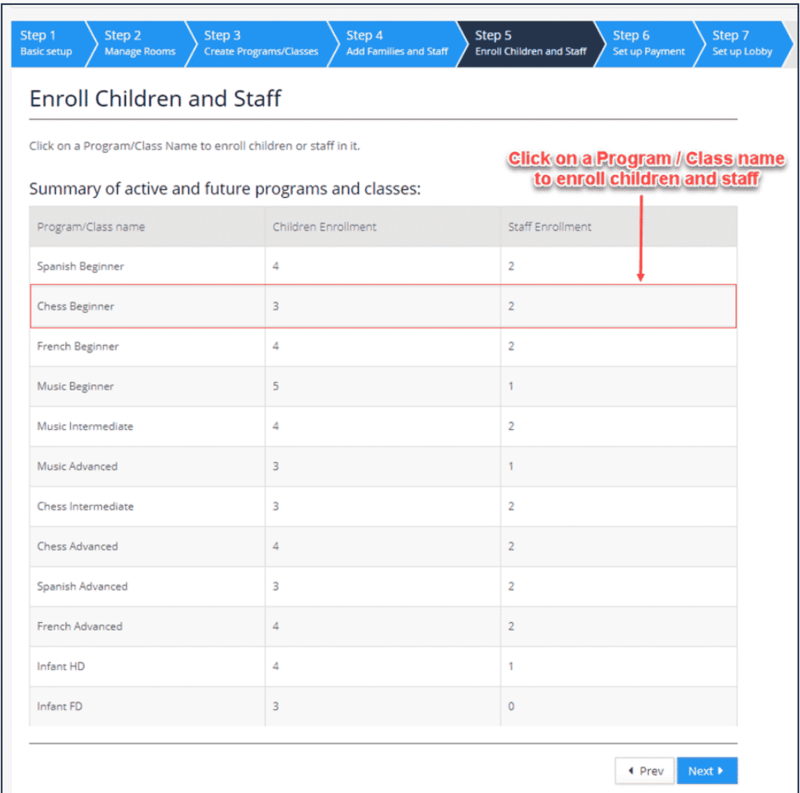 You’ll be directed to the P/C details page, use the add children and add staff buttons (‘+’ icons) to enroll children and staff. 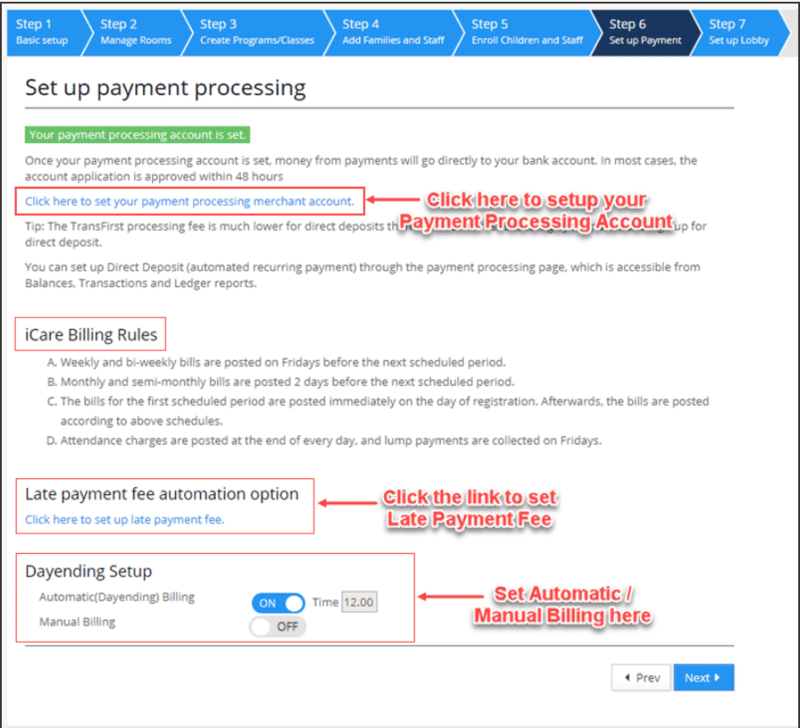 To setup Payment Processing Account, click the Payment Processing Merchant Account link your screen. In Transfirst Confirmation Setup window, enter the Gateway IDs and Keys for both admin and parents. Click Save to finish. 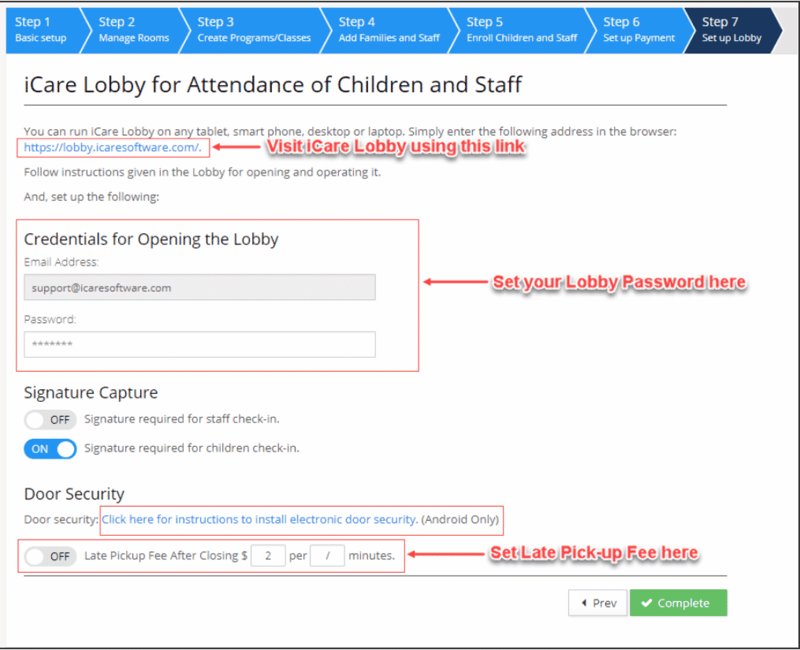 In this final step, please setup a Lobby Password to access and open the iCare Lobby. Click on the link under the heading Door Security to see the instructions to install iCare Door Switch.